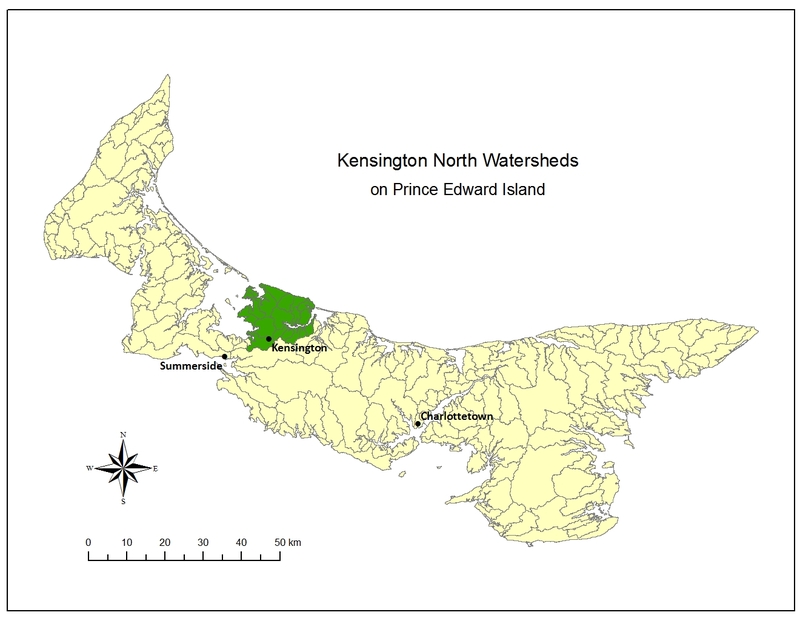 The Kensington North Watershed Association area (Kensington North) is situated on the north shore of Prince Edward Island between Malpeque Bay on the west and New London Bay on the east. The Kensington North area straddles the boundary between Prince County and Queens County covering all of Lot 18 and part of Lots 19, 20 and 21. The area wholly covers twelve old school districts and the major portion of five other districts and moderate to small portions of five more districts. Two municipalities are situated within the Kensington North area: the Town of Kensington and the Community of Malpeque Bay and together they account for nearly 45% of the total area while the remainder is unincorporated. The Kensington North Watersheds Association is a community of watersheds working with residents, youth, landowners, farmers, commercial and recreational fishermen, and industry towards something we all want and need. Clean Water. We are mainly involved in stream restoration, tree planting, watershed planning and supporting our local farmers and fishermen when we can on watershed issues. We are an incorporated body, governed by a volunteer board with a small staff. The Kensington North Watersheds Area is a healthy, sustainable rural community that values clean water, biodiversity, quality of life, and responsible land use and development where Community members act in cooperation with each other as stewards of the watershed supporting environmental, social, economic, and educational values. To preserve and protect the watersheds of Kensington North in a healthy, natural state; to develop projects and activities that will maintain or restore the rivers to such a state; and to promote an appreciation and respect through public awareness and education for the beauty, importance and environmental diversity of the watershed.